The poignant, “powerful” (The Boston Globe) look at how to appreciate life from an extraordinary professor who teaches about death: “Poetic passages and assorted revelations you’ll likely not forget” (Chicago Tribune). Under the guise of discussions about last wills and last breaths and visits to cemeteries and crematoriums, Norma teaches her students to find grace in one another. 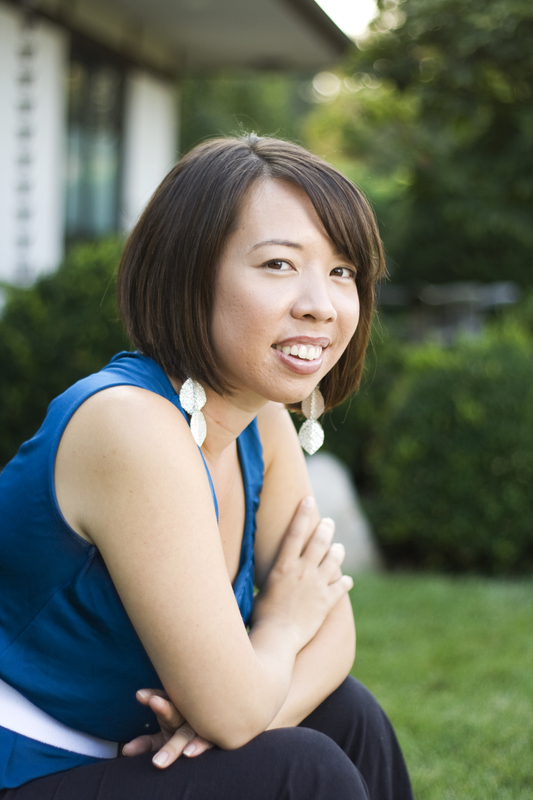 In The Death Class, award-winning journalist Erika Hayasaki followed Norma for more than four years, showing how she steers four extraordinary students from their tormented families and neighborhoods toward happiness: she rescues one young woman from her suicidal mother, helps a young man manage his schizophrenic brother, and inspires another to leave his gang life behind. Through this unorthodox class on death, Norma helps kids who are barely hanging on to understand not only the value of their own lives, but also the secret of fulfillment: to throw yourself into helping others. Hayasaki’s expert reporting and literary prose bring Norma’s wisdom out of the classroom, transforming it into an inspiring lesson for all. In the end, Norma’s very own life—and how she lives it—is the lecture that sticks. “Readers will come away struck by Bowe’s compassion—and by the unexpectedly life-affirming messages of courage that spring from her students’ harrowing experiences” (Entertainment Weekly). This reading group guide for The Death Class includes an introduction, discussion questions, ideas for enhancing your book club, and a Q&A with Dr. Norma Bowe, who teaches the class. The suggested questions are intended to help your reading group find new and interesting angles and topics for your discussion. We hope that these ideas will enrich your conversation and increase your enjoyment of the book. Each year, Kean University in Union, New Jersey, offers an exclusive course called Death in Perspective, designed “to develop an understanding of the nature and experiences of the stages of dying, death, and bereavement.” Led by Professor Norma Bowe, “The Death Class” is the most popular on campus. But what Dr. Bowe does in the classroom goes way beyond making students confront the mechanics of death. Attracting students whose lives are haunted by death, the real purpose of the death class, and the goal of Dr. Bowe, is quietly rescuing students from tragedy. From an Obsessive Compulsive young woman who has devoted her life to saving her drug-addicted mother, to a young man who watched his father kill his mother, to a former gang member who turns his entire life into a community service project, Norma Bowe’s students learn over time her most important lesson, one it took her years to learn and accept—that you can’t give to others if you have not first healed yourself. 1. “Tell me, what is it you plan to do / with your one wild and precious life.” Why do you think the author chose to use this Mary Oliver quotation to open The Death Class? What resonance does it have with the book’s themes? 2. Caitlin, Jonathan, Israel, and indeed Dr. Bowe herself all spend much of their time and energy helping others in their community, and far beyond it. What influence does the Death in Perspective class have on their volunteer or community service efforts? Alternatively, what draws people already interested in these things to Death in Perspective? 3. The popularity of Death in Perspective at Kean is one of the things that drew the author to Dr. Bowe in the first place. Having read the book, what do you think it is about the class that makes it so popular? Would it be as popular if someone other than Dr. Bowe taught it? 4. If you were a student at Kean, do you think you would be likely to try and sign up for Death in Perspective, if you knew only a little about Dr. Bowe and her work? Why, or why not? 5. In many ways, Dr. Bowe is a very atypical professor: her closeness with her students, her teaching methods, and the very nature of her class are very unlike most college professors. What do you think is more (or less) effective about her style of teaching? Do you think more professors should be like Dr. Bowe? 6. Most, if not all, of Dr. Bowe’s students have traumatic and difficult pasts, and most are still dealing with those traumas. How do you think their traumatic events have affected their perspectives on death? What are some of the similarities between the way Dr. Bowe, Caitlin, Jonathan, and Israel think of death? What are some of the differences, and where do these differences come from? 7. Caitlin, Jonathan, and Israel are all from hugely different backgrounds, dealing with very different issues. Whose story did you feel closest to as you read The Death Class? Why? If you had the opportunity to meet one of them, whom would you choose? 8. On page 85, the author writes, “Adulthood, Norma believed, is about giving back and passing lessons on to the next generation, so that the virtues you work so hard to develop live on even after your death.” Do you agree or disagree with this sentiment? Why do you think this is so important to Dr. Bowe? 9. Jonathan and Caitlin’s relationship goes through a number of phases as they get together, break up, and get back together over the course of the book. What lessons do they learn? What was preventing them from working as a couple? How are the lessons of their relationship applicable to other relationships, romantic or not? 10. Much of The Death Class is structured around Erik Erikson’s stages of life (you can find a chart of these stages in the appendix). What do you make of Erikson’s theory? Do you agree or disagree with it? Why or why not? Why do you think it has such a crucial role for Dr. Bowe? 11. In Chapter 19, the author revisits the family of her friend Sangeeta, whose murder she recounts early on in the book. How does the story of Sangeeta’s family, and their recovery from her murder, reflect the lessons of Death in Perspective? How has the author’s encounter with Dr. Bowe changed her view on Sangeeta’s death? 12. In the last chapter of The Death Class, Dr. Bowe allows the author to join her on her birthday trip, which she traditionally spends alone. Why do you think Dr. Bowe finally allows someone to join her for her birthday? What significance does this have for Dr. Bowe, for the author, and for The Death Class as a story? 13. On page 170, the author quotes Erikson on teaching: “…man needs to teach…because facts are kept alive by being told, logic by being demonstrated, truth by being professed.” Do you agree with this perspective on facts and truth? How might this affect Dr. Bowe’s perspective on teaching? What truths does she keep alive by professing? 14. 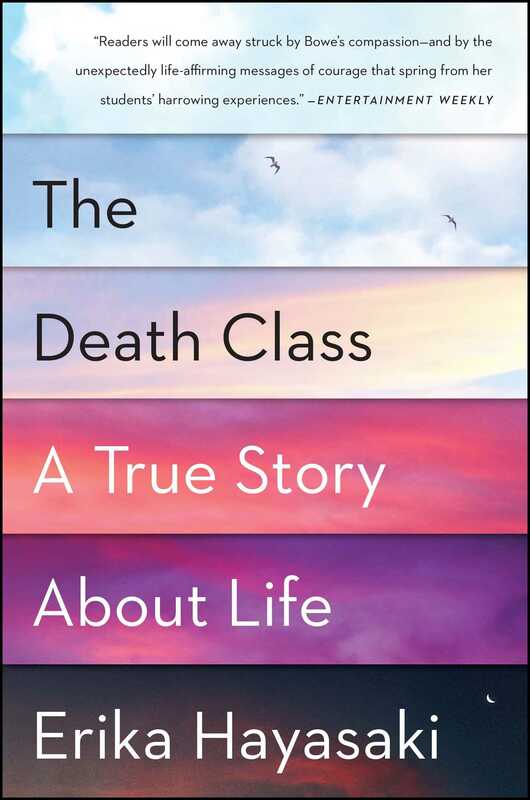 The Death Class does an excellent job balancing different perspectives on the concept of death—from the physical and medical to the social, psychological, and personal. Discuss what you learned about death from reading this book. Do you think differently about death and dying after reading The Death Class? 15. One of the virtues of Dr. Bowe’s class, and of The Death Class itself, is how it escapes being pessimistic and morbid. How do you think Dr. Bowe and her students, so focused on death, loss, and trauma, can end up being so positive and outwardly generous? Do you see a paradox in thinking so much about death and still being optimistic and focused on life? Does it take a particular kind of person to have this outlook, or is it just a certain kind of attitude? 1. Many of the chapters in The Death Class end with a writing assignment. Choose one of the writing assignments that speaks to you and complete it before your group meets. Share your responses with the group and discuss your process: Why did you choose the assignment you did? What did you learn, or what surprised you, in the process of writing your response? 2. Death in Perspective takes much of its shape as a class from field trips to would-be surprising or unusual places for any other class—such as graveyards, mortuaries and prisons. Plan a field trip for your group based on one of the field trips from The Death Class, or plan to have your discussion in the location of your field trip. 3. One of the themes that emerges from The Death Class is the importance of giving back to your community, and how helping others can be a crucial component of understanding and valuing your own life. Research how you can best help your community and volunteer at a local women’s shelter, soup kitchen, or nursing home. 1. What was it like having someone write a book about you and your class? Did it change your perspective on your teaching and community service work? Did you surprise yourself with how much access you allowed Erika Hayasaki? I was excited to have someone write about the class, a little less excited to have someone writing my life story because I’m a pretty private person. But I feel like Erika captured the essence of the class and also did a great job describing me and my life, and how it intercepted with many of my students’ lives and their stories. When you think about it, I’m asking people all the time to talk about their life stories and how they relate to their lives speaking about death and loss and grief. 2. What was the very first class of Death in Perspective like? Was it successful? Are you still in touch with any of the students from your first time teaching it? It’s been thirteen years, but I’m still in contact with many of those students who were in the very first Death in Perspective class. I have one student whose father died because he waited three years on the liver transplant list and never received a liver. I had another woman who was older, in her seventies, and so she was able to give an incredible perspective on living your life to the fullest. I was developing the course as I was teaching it. I wanted to be a little didactic, and then I knew I wanted to do some interpersonal work, as well as experiential work. From there I kept fine tuning…I’m always changing and adding. Each time I have a new class it’s a room full of new stories. It’s a different group of people dealing with loss and grief. Even when I run two classes in the same semester, each section is different. And sometimes, they even get different assignments depending on the dynamic of the class. 3. How do you think your background in medicine has helped you as a teacher? I think having a medical background and teaching this particular topic is really useful because I’m able to talk about the anatomy and physiology of the body, and I’ve been with so many patients who’ve died. I have a lot of critical stories that I can tell. 4. What would you say is the easiest or most pleasurable part about teaching Death in Perspective? What is the most difficult? The best part of this class is the personal relationships that I can make with the students. I feel like I’ve had a peek into all of their lives so when I’m sitting in the classroom, I know which person’s life story is going to connect to another’s. The most difficult part of this class is that it’s draining: I’ve had students who have attempted suicide. I have students who are depressed. I do a lot of hands-on work and I see a lot of students even outside of the classroom, so it can be exhausting. 5. What do you think it is that draws people to your class? How do you explain its consistent popularity and resonance with people? What do you see as the common thread in your students? 6. Do you think there’s something about the concepts that you teach in your class that turns so many people on to volunteer and community service work? Or is it more the exposure you provide to struggling communities and individuals? Be The Change is the community service group that grew out of Death in Perspective. It all started when we were on a field trip to one of the hospice centers and one of the students in the class suggested that we go do some painting and cleaning up. We turned three rooms there into a craft room, a sitting room, and a dining room for the patients. Once we did this, there was no stopping the students. A lot of them have joined Be The Change. We feed the homeless every week and when something happens, the students are all over me. When Sandy hit here in New Jersey, three days after the storm we were at the shore helping people get the stuff out of their basements. It’s really driven by the interests of the volunteers. Once we get the projects set up—we do several projects a week at this point now—people can volunteer for them and we post them up on the Facebook page. I think there’s something really healing, when you’re grieving, about giving back or at least experiencing people who may have it even harder than you do. 7. What misconception about death do you encounter most often? If you could change one thing in the way the people think about dying, what would it be? That’s easy. The biggest misconception is that death is scary. People are afraid of death; they are afraid of the death process; they’re afraid of anything to do with death. And I think through the field trips—like going to the funeral home and getting inside a casket if you want to, going on a cemetery scavenger hunt, going to a hospice and looking into the eyes of people who have six months or less to live—the death process gets demystified. We also watch a whole autopsy and you can get really close to the body if you want to and actually peer into the organs and all the bodily systems. We think we’re invincible and this helps people understand that we’re fragile. A violent death is pretty terrifying, but a natural death, like what most of us will have, will be very peaceful. People avoid death. They might have a grandparent who’s dying and they’re afraid to go to the hospital so they miss out on saying goodbye. They are afraid to talk to a dying person and they’re afraid when someone gets killed—they don’t want to know anything about it. You carry these missed opportunities with you the rest of your life. Some people even avoid funerals, but these are important ceremonies to finish saying good-bye to someone. 8. Since you’ve been teaching Death in Perspective, how has your own thinking on death and dying evolved? What have you learned from your students? I don’t think it’s changed the way I think about death and dying, but I have learned that no matter how old you are, you can face obstacles with grace and beauty and courage. I’ve learned that no matter how bad things get for people, that there’s a lot of resilience. I have seen my students struggle with things that are unthinkable. I’ll give you an example. Two semesters ago, I had a student whose father picked her up from work three years ago and told her to go upstairs because he and her mom were going to have a discussion in the kitchen. This poor girl and her boyfriend were having a fight so she was happy to stay upstairs to text him. All of a sudden, she heard a gunshot. She ran downstairs in time to see her mother fall to the ground and her dad take the gun to his own head right in front of her. Within two minutes, that girl was an orphan, an only child. Yet, now she’s a biotechnology major, which is one of the hardest majors at our school; she’s doing research right now in Costa Rica with a professor, and she’s going to graduate. So even with the most unthinkable things in your history there is a way to put one foot in front of the other. It’s really unbelievable to watch. 9. How do you keep up the emotional energy it must take to be such a mentor figure to so many students, year after year, class after class? I don’t know because today I’m pretty exhausted! It’s a challenge sometimes. If I feel like a student is having an issue that’s going to need some intensive work, I always refer them to the counseling center at our school. I always make sure that they have a referral if they need one. But I have to tell you, watching the students come out of bad situations or grow and evolve gives me energy. I get invited to weddings and baby showers. I get to write all the graduate school recommendation letters and see people go on to graduate school or work in their field. It’s so encouraging to see people go on with their lives and do really well. It’s just amazing. 10. Erikson’s concept of generativity is such a powerful idea—when and how did you first encounter it? How would you characterize the influence it has had on your life? I first encountered it when I was in college studying nursing. I’ve used it as a theoretical model for the work that we do in class. Part of Erikson’s model is that we grow and change throughout our lifetime. We can blow past mistakes, pick up our lives, and move on. I’ve even seen that in the work I’ve done in the prisons. No matter what the situation, you can pick up the pieces and go on. And “generativity,” specifically, is about giving back to the next generation. So it’s about being productive; it’s about imparting wisdom; it’s about doing good deeds; it’s about a kind of karma almost and I think that’s really what life’s about—finding meaning in adversity and then doing something about your problems. I believe that life starts with trust and ends with integrity and generativity. I feel like I’m firmly in that stage in life. I’m a mother of two wonderful daughters and I feel like I have a million children at the school. I feel like I’m giving back all the time and imparting wisdom that I know. I know that what I’ve told students about death really helps them. It has gotten me to think of the stages of life and the different milestones that we’re supposed to be able to accomplish at different times in our life. If we haven’t done those things, like learn how to trust, learn how to be independent, learn how to play, learn how to give back, you know, we’re not going to have a good death. We’re going to have a lot of unfinished business. So every time I teach that model, it kind of reminds me of where I’m at in my own life and where I’m going to need to be in order to have a death that’s going to be peaceful and gentle and easier. I don’t want to be holding on to a lot of stuff at the end of my life. I want to be surrounded by loved ones. In order to do that, you need to foster all of those relationships all the way through your lifespan. 11. How has your Be The Change organization been going recently? What project is your team working on next? Erika was around for the Isaiah Teen Homeless Shelter project. We completely redid a teen homeless shelter in a very urban, dangerous area in East Orange, New Jersey. Since that time, we have mentored the girls in that program and now I have twelve homeless students here at Kean University from that program. We continue to do work all over the country. We’ve been to Joplin, we’ve been to Tuscaloosa, Alabama; we helped the fisherman in Mississippi after the BP oil spill; we’ve done Katrina relief; and then most recently, right here in Newark, which isn’t far from our campus, we’ve been doing garden projects where we take abandoned lots and turn them into beautiful gardens for the community. We made an outdoor classroom for one neighborhood because they had two schools nearby and we made a playground for another community because it is very dangerous and there’s no place for kids to play. Anytime something happens, the students are on it. Like the Oklahoma tornado, where we partnered up with the Covenant House to send $20,000 in gift cards to victims in Oklahoma. Now with the fires that happened in Prescott, Arizona, we’re collecting stuff for them. 12. Do you have anything new on the horizon personally? Any new projects, classes, or goals? I’m writing a book right now that will be a compilation of student work. It’s going to be a workbook for the death class. People can buy it and do their own death class. People will get to read what some of the students have written and I’m also going to have sections with assignments so that readers can do the assignments themselves. I’m still teaching constantly and Be The Change is turning into a nonprofit, so I’m training people on running the organization. 13. Is there anything else you would like to add? You know, when Erika first called me, I wasn’t really interested in talking to a journalist. I basically told her that she needed to send me something that she had written before I would meet with her. She sent me the Virginia Tech article that she had written and I knew right away that she was the right person to write an article about the class. It was because of the way she wrote that article—she didn’t approach it from the point of the view of the shooter like everyone else did. She literally walked us through room 211 in Norris Hall, where most of the carnage happened, and she described, in such detail, each person who was in that classroom. And she is such an incredibly talented writer and I feel very grateful that she decided to take on this project. I think she’s done a beautiful job with the class and my students and me.